December 12, 2014 – CMG’s Andres Carvallo has been selected by IEEE to be the Gala Keynote Speaker at the 6th Annual IEEE Power and Energy Society Innovative Smart Grid Technologies Conference to be held in Washington, D.C. Feb 17 – 20, 2015. For More Information Click Here. December 8-11, 2014 – CMG’s Bruce Hamilton will lecture on the Role of Nuclear Power, Renewable Energy and Grid Modernization in Sustainable Energy Development at a Regional Workshop on Electric Grid Planning hosted by the Indonesian National Utility Company, PLN. December 1st, 2014 – CMG’s Andres Carvallo has been selected as speaker for the 5th Annual Smart Grid Consumer Collaborative Symposium in San Diego on February 2nd, 2015. “Industry visionary Andres Carvallo will set the stage about how utilities are thriving in the new order of business and how other stakeholders are empowering consumers,” said Patty Durand, Executive Director. Who benefits and who loses? A following panel will discuss the implications of Andres’ comments and audience discussion will follow. For More Information Click Here. November 10-21, 2014 – CMG’s Bruce Hamilton lectured on energy planning and financial analysis at a Regional Training Course on Integrated Management Systems at Argonne National Laboratory. CMG begins exchange and collaboration with Argon National Lab executives. November 3-6, 2014 – CMG’s Bruce Hamilton lectured on Financial Modeling Concepts at a Technical Meeting on Financial Planning and Risk Management held at the IAEA Headquarters in Vienna, Austria. October 20, 2015 – CyberX Chooses CMG’s Go-To-Market Planning Framework and Services. CyberX helps secure the Industrial Internet by providing complete visibility into the OT Network as well as real-time detection and alerts of operational incidents, cyber threats and system tampering, in order to minimize disruption to operations and downtime. For More Information Click Here. October 7, 2014 – CMG offers new Distribution Management System Service. The new service includes Pre-Implementation, During Implementation, and Post-Implementation services — Pre-implementation: Start with a workshop on DMS and its implementation considerations, we can provide assistance across the entire life-cycle, including assessments, benchmarking, design, architecture, product selection, roadmap developments, and migration development. During implementation: CMG can evaluate the implementation and provide guidance to decide what course modifications (if any) are needed – especially with respect points above, including benchmarking, configuration, best practices, and project goals and requirements. Post-implementation: CMG can assist with updating the business processes to take advantage of the new DMS and streamline operations, including architecture review, system optimization, problem management, and troubleshooting. For More Information Click Here. October 6-10, 2014 – CMG’s Bruce Hamilton lectured on Methods for Assessing the Competitiveness of Electricity Generation Options at an International Atomic Energy Agency (IAEA) Interregional Training Course on Legal and Financial Issues for Countries Introducing or Expanding Nuclear Power. October 1, 2014 – CMG’s Gridmates, the first energy cloud platform that will eliminate energy poverty by connecting people with energy was selected as a finalist in the Cleanweb category for SXSW Eco’s Startup Showcase, taking place on October 6-7, 2014 at the Austin Convention Center in Austin, TX. September 16, 2014 – CMG team developed a dynamic demand response product, business model, and go-to-makert program for a growing vendor in the US. The solution included the extensive product management, scenario planning, and business modeling skills of the team. The CMG Smart Business Framework can be used to enable new products, services, and business models. September 13, 2014 – CMG team developed smart grid roadmap and architecture for fast growing electric utility in the Middle East. The reports were built using the CMG Smart Grid Roadmap Framework, which include five phases. Those phases are: 1-smart grid maturity assessment, 2-future smart grid requirements, 3-smart grid gap analysis, 4-smart grids roadmap development, and 5-smart grid architecture. September 9, 2014 – Bob King, former COO at Toronto Hydro, and Basheer Mohamed, former Generation Plant Manager at Austin Energy, join CMG Team to further expand consulting prowess. “We are very honored to have Bob King and Basheer Mohamed join our team. Their collective experience bring to CMG over 60 years of innovation and executive management. We are laser focus on accelerating the digitalization and transformation of our customers”, said Andres Carvallo, CEO & Founder of CMG. Bob King and Basheer Mohamed join Andres Carvallo, Russ Baldick, Bob Barker, Bruce Hamilton, Bobbi Harris, Jim Henry, Erfan Ibrahim, Bill Marsh, David Shpigler, and Mani Vadari. August 28, 2014 – CMG’s Andres Carvallo to host and MC ETS@austin on Sep 4, 2015. As chairman of ETS, Andres will have the humble opportunity of hosting 40 energy thought leaders and 300 attendees in one full day. ETS@austin will include keynotes by SunEdison and Clearesult; a CEO panel with the CEO’s of National Instruments, Silicon Labs, and Clearesult; a city panel with the mayor’s of Austin, Georgetown, Kyle, Cedar park, and San Marcos; a Texas utility panel with CPS Energy, ERCOT, and the Texas PUC; musical guest Bob Schneider; and much more. August 25-29, 2014 – CMG’s Bruce Hamilton will be the sole U.S. representative invited by the International Atomic Energy Agency (IAEA) to participate in a Consultancy Meeting on Review of Information Resources on Energy Technology Data at the IAEA Headquarters in Vienna, Austria. The IAEA’s Planning and Economic Studies Section has developed a Cloud-based collection of information resources on technical, economic and environmental data for various energy technologies. This collection provides the end-users from Member States reliable and peer-reviewed information for preparing input data sets for IAEA’s models for energy planning studies. August 22, 2014 – Bobbi Harris, former Global Marketing Exec at Sensus, joins CMG Team to further expand smart energy consulting prowess. “We are very honored to have Bobbi join our team. Her own vision and industry relationships are extensive and fit perfectly with our company mission. We are laser focus on accelerating the digitalization and transformation of our customers”, said Andres Carvallo, CEO & Founder of CMG. Bobbi Harris joins Andres Carvallo, Russ Baldick, Bob Barker, Bruce Hamilton, Jim Henry, Erfan Ibrahim, Bill Marsh, David Shpigler, and Mani Vadari. August 18, 2015 – EnergyHub Chooses CMG’s Go-To-Market Planning Framework and Services. EnergyHub is the cloud-based software solution for utilities and service providers that powers positive relationships with millions of energy users. EnergyHub is the energy management solution for the connected home. For More Information Click Here. August 12, 2014 – CMG’s Andres Carvallo delivers keynote address titled “The Inevitable Evolution of Smart Grids” at the Oak Ridge National Laboratory, as part of two day visit. CMG begins exchange and collaboration with Oak Ridge National Lab executives. July 10, 2014 – CMG releases its new white paper titled “Disruption Becomes Evolution: Creating the Value-Based Utility”. This white paper is an industry must read presenting the journey, impacts and solution recommendations on how generation, grid operations, wholesale and retail energy sales are being transformed by innovation and competition bringing the utilities to a critical fork in the road choice on how to create better customer experiences, products, and services driven by multiple drivers. For More Information Click Here. June 24, 2015 – Dubai Electricity and Water Authority (DEWA) Chooses CMG’s Smart Grid Roadmap Framework and Services. DEWA is the government owned electric and water utility for Dubai. DEWA is conducting a smart grid project and looking forward to modernize its infrastructure and become a world class utility. For More Information Click Here. June 23, 2014 – CMG adds Ross Baldick, Bruce Hamilton, and Bill Marsh to further expand smart energy consulting prowess. CMG announces that Ross Baldick, Bruce Hamilton, and Bill Marsh have joined the firm. We are excited that Ross, Bruce and Bill have joined us. Our collective vision is to build the most experienced and reputable team that can help design and accelerate the digitalization and transformation of the Energy industry. “We are very honored to have Ross, Bruce, and Bill join our team. Their expertise and industry relationships are second to none and fit perfectly with our company vision. We are laser focus on accelerating the digitalization and transformation of our customers”, said Andres Carvallo, CEO & Founder of CMG. Ross, Bruce and Bill are joining the original founding team of Andres Carvallo, Bob Barker, Andy Bochman, Jim Henry, Erfan Ibrahim, David Shpigler, and Mani Vadari. CMG has brought together the most knowledgable and expert Smart Energy team of consultants in the world. June 22, 2014 – CMG’s Andres Carvallo keynotes Muni Smart Grid Summit in Arizona – 100 utility executives and over 200 attendees. June 18, 2014 – CMG’s Bruce Hamilton joins Siemens and NB Power on TheEnergyCollective.com Webinar titled – Who Will Build Tomorrow’s Grid? Smart Grid & the Expertise Challenge. For More Information Click Here. June 17, 2014 – CMG’s Andy Bochman to moderate a Cyber Security panel at GridEdge in San Diego. The panel is titled “Grid Edge Cyber Security in an Age of Distributed, Intelligent Systems” – Fore More Information Click Here. June 5, 2014 – CMG’s Bruce Hamilton organized Training on Generation & Transmission Planning and Analysis for staff of the Asian Development Bank. May 22, 2014 – CMG announces the release of “Disruption Becomes Evolution: Creating the Value-Based Utility”. This white paper is an industry must read presenting the journey, impacts and solution recommendations on how generation, grid operations, wholesale and retail energy sales are being transformed by innovation and competition bringing the utilities to a critical fork in the road choice on how to create better customer experiences, products, and services driven by multiple drivers. Register for free webcast by clicking here. May 16, 2014 – Austin Business Journal’s Editor Colin Pope interviews CMG’s Andres Carvallo on Texas Energy. To Read The Entire Interview Click Here. May 5, 2014 – CMG’s Andres Carvallo delivered keynote at Siemens’ Executive Roundtable on The State of the Smart Grid for key utility and Siemens executives from around the globe at Siemens Smart Grid Software Leadership Conference in Orlando. May 5, 2014 – CMG’s Bruce Hamilton participated in The Executive Roundtable and General Session Panel Discussion: The Evolving Distribution Utility Business at Siemens Smart Grid Software Leadership Conference in Orlando. For More Information Click Here. March 25, 2014 – Zpryme confirms CMG’s Andres Carvallo as chairman for ETS 2015 to held in Austin, Texas. The inaugural 2014 event was a complete success according to all involved. Visit http://energythoughtsummit.com to see all keynotes, panels, and testimonials recoded, all pictures of the event, and all commentary via twitter. February 24, 2014 – Smart Energy, Telecom, and Software Experts Join to Deliver Smart Solutions via CMG. CMG – http://www512cmg.com – headquartered in Austin Texas and with partner offices in Boston, New York City, San Francisco, Seattle, and Washington DC, has launched a next generation Consulting and Advisory firm that delivers breakthrough Smart Solutions. Andres Carvallo, Andy Bochman, Erfan Ibrahim, Mani Vadari, David Shpigler, Bill Moroney, Bob Barker and Jim Henry came together late last year and agreed to join forces and collaborate to accelerate the digitalization of Energy, Water, Transportation, and Cities across the globe. CMG is a next generation strategy consulting and advisory firm enabling Smarter Solutions via their Smart Performance by Design(tm) methodology which consists of their unique and proven Smart Design, Build, Run, and Optimize Framework Solutions(tm). Using frameworks comprising of proven strategies, processes, and best practices, they show companies and cities how to design, build, run, and optimize all elements of their planning and operational execution. CMG focus is helping Cities, Enterprises, Utilities, Vendors, and Start-Ups. CMG’s thought leaders in Energy, Telecom, and Software are experts in applying strategy development, business planning, technical design, and technical architecture to address disruptive trends and gain competitive advantage in Smart Energy, Smart Grid, Micro-Grid, Smart Water, Smart Metering, Smart Devices, Smart Buildings, Smart Homes, Energy Storage, Distributed Generation, Electric Vehicles, Energy Management Systems, Enterprise Software, Embedded Software, Cloud Computing, Mobile Computing, Telecom Networks, and Internet of Things. The results of CMG’s involvement are expected to Increase Value, Reduce Risk, Accelerate Adoption and Delight Customers. February 4, 2014 – Grid concerns driving industrial CHP – Industrial combined heat and power (CHP), also known as cogeneration, is one of the most mature distributed generation segments, but represents just less than 6 percent of installed electricity generating capacity globally, according to Navigant Research. Although growth in the industrial CHP market has stagnated in countries like the United States and Russia in recent years, the confluence of a number of factors points to renewed interest in this proven technology platform across all regions. In fact, worldwide revenue from industrial CHP will grow from $19.7 billion annually in 2013 to $29.8 billion in 2023, Navigant predicts. February 4, 2014 – Smart Grid Summits selects CMG’s Andres Carvallo as a keynote speaker for each of their 2014 events. 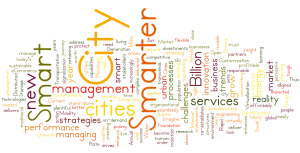 The events are the 2014 Municipal Smart Grid Summit – to be held June 22-24, 2014 in Phoenix, AZ; the 2014 Smart Water Summit – to be held September 8-10, 2014 in Palm Beach Gardens, FL; and the 2014 Rural Smart Grid Summit – to be held November 16-18, 2014 in Phoenix, AZ. January 21, 2014 – Solid Green Systems selects Andres Carvallo and CMG to its Advisory Board. 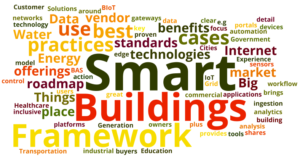 “Solid Green Systems smart building materials and partners empower designers, architects and engineers with real-time assessments that reduce construction costs, increase air quality, increase energy efficiency, and increase financial return on investments,” said Andres Carvallo, founder and CEO of CMG. January 26, 2014 – Microgrids could quadruple by 2020 – Navigant research defines a microgrid as “an integrated energy system network consisting of distributed energy resources (DER) and multiple electrical loads and/or meters operating as a single, autonomous grid either in parallel to or ‘islanded’ from the existing utility power grid.” While remote microgrids number in the thousands, many are still powered by diesel generation. However, an increasing number of remote microgrids showcase smart and much cleaner combustion technologies capable of reducing diesel consumption by as much as one-third, even without any renewable generation, according to Navigant Research. In fact, Navigant predicts the total worldwide capacity of remote microgrids will grow from 286 MW in 2013 to nearly 980 MW in 2020. Under a more aggressive scenario, total capacity will reach 1,071 MW in 2020, according to the research. January 25, 2014 – Texas CEO Magazine publishes Andres Carvallo’s talk on the “Internet of Things” and “The Smarter Enterprise” megatrends for the 21st century. January 22, 2014 – CMG’s Andres Carvallo delivers opening keynote, in a standing room only of more than 600 attendees, for Senepar’s 50th Anniversary. Click Here To Read More. January 21, 2014 – Texas A&M’s Smart Grid Center selects Andres Carvallo as the industry keynote speaker for its 2014 Smart Grid Summit on April 8, 2014 in College Station, TX.